As you know Maisy has recently started school so we are in full-blown school run mode here and it’s tough, I never got it when people complained about it before but it is seriously stressful at times. Trying to remember to sign their reading book and get the teddy they have to take for their topic ready not to mention getting three children dressed and myself looking semi presentable and out the door for 8:15 to secure a parking space. Well you can imagine most mornings I am running around like a headless chicken trying to get everyone rounded up and have left the house on more than one occasion without Lottie’s shoes opps! 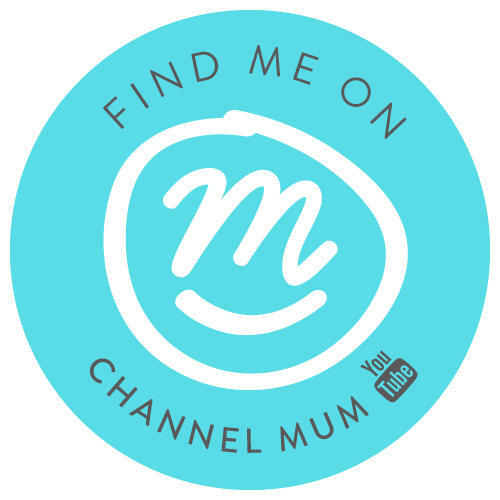 Today I thought I would share some of my mum’s essentials to making that school run just a little bit easier. We’ve not has the best start to the term weather wise have we, the sun does keep popping its little head out but don’t be fooled it soon takes a turn and hammers it down – an umbrella may as well just live in your bag from now on just in case love this one from accessorize. Nothing worse than soggy feet at 8am so wellies are also on my must have list these boots from M&M direct will add a bit of colour to a grey day! I recently reviewed some great coats from Trespass so they are in my essentials too a good coat like this is perfect for all year round – you can read the full review here. 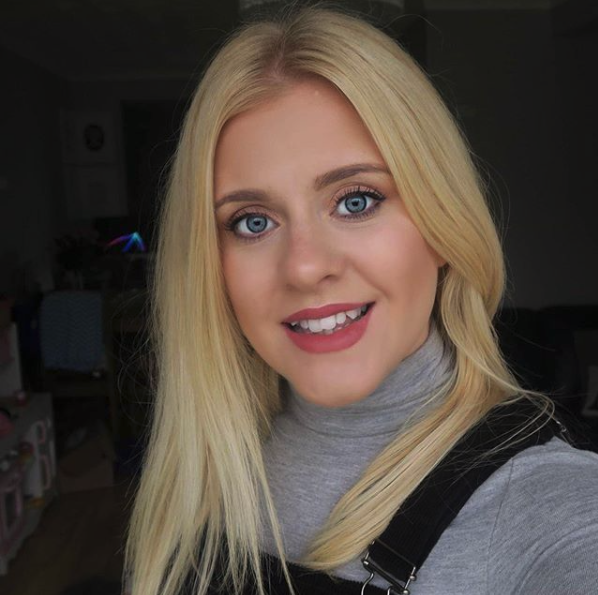 On my face – foundation this one I have recently been trying out comes from Oxygenetix, a breathable medium coverage foundation that looks really natural and is even water-resistant! A quick flick of mascara so I look semi awake and a little bit bright lipstick grab the girls and I am good to go. 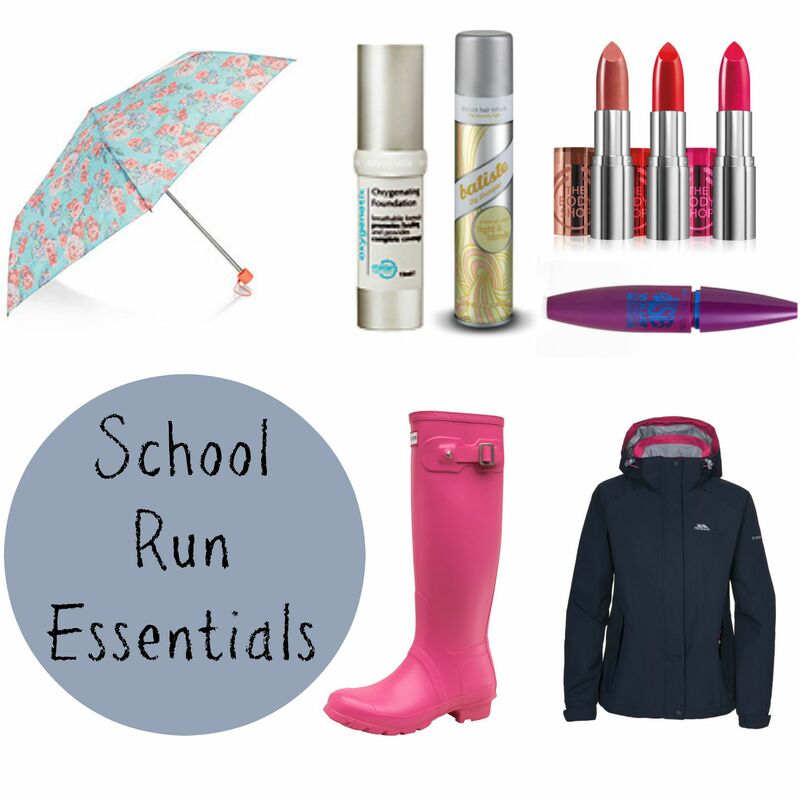 So there you have my essentials for getting me ready for the school run what are yours? This is BRILLIANT 🙂 And I’m loving the jacket and welly boots combo. So girly.